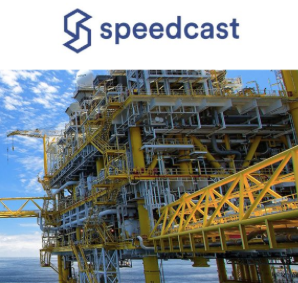 SpeedCast International Limited ( ASX:SDA), has entered into a definitive agreement to acquire UltiSat for a purchase consideration of up to US$100M, payable over two years and subject to the ongoing financial performance of the company which will add balance to the company that currently specializes in remote communication and IT solutions. UltiSat is a leading provider of remote communications and professional services to governments, in particular the U.S. Government, and to International Government Organizations (IGOs) and Non-Governmental Organisations (NGOs). The acquisition strengthens Speedcast's position in the Government and NGO sectors, complementing Speedcast's government activities in Australia, Asia, Europe and Latin America. Speedcast CEO Pierre-Jean Beylier stated that the acquisition of UltiSat extends Speedcast's position serving Government and NGO customers. UltiSat has built a really strong reputation providing remote communications and professional services to key customers, such as the U.S. Government and IGOs. He is excited to have the UltiSat team joining Speedcast. Speedcast's scale, global network and unique support services capabilities will enable the combined Group to provide expanded services and coverage for UltiSat's customers around the world. Speedcast will also be able to leverage UltiSat's solutions and expertise to serve other governments globally with which Speedcast has existing relationships. 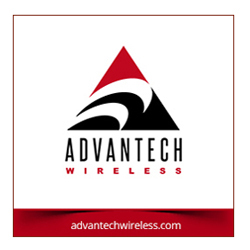 UltiSat CEO Mohammed G. Abutaleb will lead the newly-formed Government division at Speedcast that will be focused on providing communication solutions and professional services to Speedcast's and UltiSat's existing and new Government and IGO customers, as well as driving new growth in the nearly $5B market for government and military satellite communications. Mr. Abutaleb continued saying that the UltiSat team is thrilled to join the Speedcast Group. Speedcast's scale and global capabilities will enable them to expand the portfolio of services they can offer to their customers and to pursue new opportunities. This is an exciting development for their employees and their customers and he looks forward to taking their combined Government and IGO business to new heights over the years to come. The transaction is expected to complete in Q4 of 2017 subject to customary closing conditions, including regulatory approvals. Speedcast was advised by Goodwin Procter LLP and Deloitte Global. UltiSat was advised by Pillsbury Winthrop Shaw Pittman LLP and Trinity Advisers.